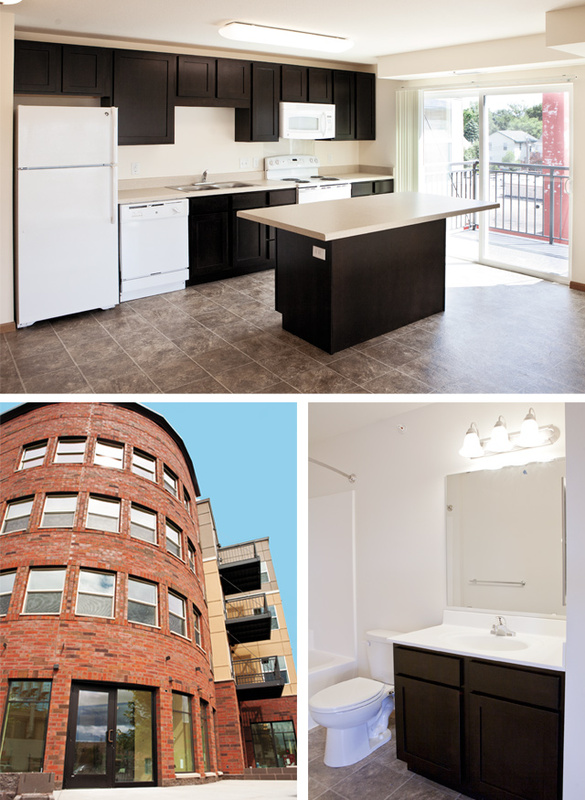 “Capture the Spirit of Living Out” is the motto of the long-awaited affordable living property for seniors, Spirit on Lake Apartments, located on Lake Street in Minneapolis. Originally the location of Spirit of the Lakes Church (which is now Living Table UCC), this project aimed to provide a space for older GLBT people; due to the stipulations of Section 42 housing, the scope is no longer strictly GLBT, but the community retains its orientation toward “living out” in later years of life. As of press time, all but one of the 46 units have been rented. We were able to take a tour of the property while it is still undergoing the finishing touches of construction and look forward to its opening to residents on September 1 as well as the Grand Opening later this fall. What’s as exciting as the living spaces is the fact that Quatrefoil Library is moving into a lovely, sunny yellow-walled new home on the first floor of the building, with public access and plenty of space for books and periodicals. Congratulations to the developers and residents of Spirit on Lake! Stay tuned for more information about being able to see the property this fall and read more about it at www.spiritonlake.org.